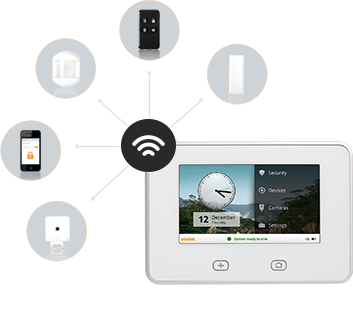 With security solutions from Vivint Business, you can protect your workplace no matter where you are. Smart security technology. Better business. That's why we offer integrated, automated business security systems that manage themselves so you can focus on what's really important: your business and your customers. Copyright @ 2014 Vivint, Inc. All rights reserved. Not available in all areas including: AK, HI, ID, ME, MN, OR or Quebec. Buildings must be less than 6000 sq. ft., single story, with ceilings no greater than 12’. The owner of the building must be on the contract; Vivint cannot put the contract in the business name. If the building or residence is used entirely or partially to care for others (daycare, nursing home, assistedliving facility, half way house, etc. ), the installation of a burglar alarm (only) is permissible. There are very specific and relevant guidelines developed (adopted Codes) by NFPA 72 and NFPA 101 governing the installation, servicing, and inspection of fire/smoke/heat detection systems in commercial locations. For complete regulations and restrictions, download our Commercial Installation Policy. 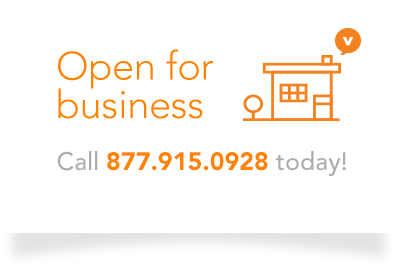 Enter your information below and we'll let you know all about what Vivint has to offer. By submitting your information, you agree that Vivint and their representatives may contact you at the email address and phone number given above.